Jane Frazee was born Mary Jane Frehse on July 18, 1915, in St. Paul, Minnesota. Her parents were Walter Carl Frehse and Olga (Smith) Frehse. Jane had an older sister, Ruth, who was born on September 8, 1913, in North Dakota. The Frehse family moved to Duluth around 1917 and first lived at 3506 West Third Street. Walter worked for the Duluth, Winnipeg, and Pacific Railroad as a valuation engineer. The Frehses were members of St. Peter’s Episcopal Church on First Street and Twenty-Eighth Avenue West. Walter was active in the church’s music program, both as a singer and as conductor of the church orchestra. When they were old enough, the girls attended Merritt Elementary School. In 1922, at the ages of seven and nine, they danced at the Doric Theater in Duluth as a fund raiser for the school. They also studied dance at Miss Stoughton’s studio in the early 1920s. Nellie M. Stoughton was a dance instructor and also served as supervisor of physical education for Duluth schools. Also around this time, the sisters began performing as a singing and dancing team in local Kiwanis and Rotary meetings and at PTA sessions. The family later moved to a home at 4319 West Sixth Street. In the mid-1930s, Olga began managing her daughters’ career as a traveling vaudeville team. They became the Frazee Sisters, and moved from vaudeville to the fancier nightclubs in Chicago, Hollywood, and New York. In the late 1930s, they were booked as regular performers on Larry Clinton’s NBC radio program from New York City. In 1939, Olga and the two girls went to Hollywood where the sisters underwent screen tests. No studio hired Ruth, and she eventually married writer-producer Norman Krasna and stopped performing. The Krasnas later divorced. Jane had several offers to perform in low-budget musical and comedy films. 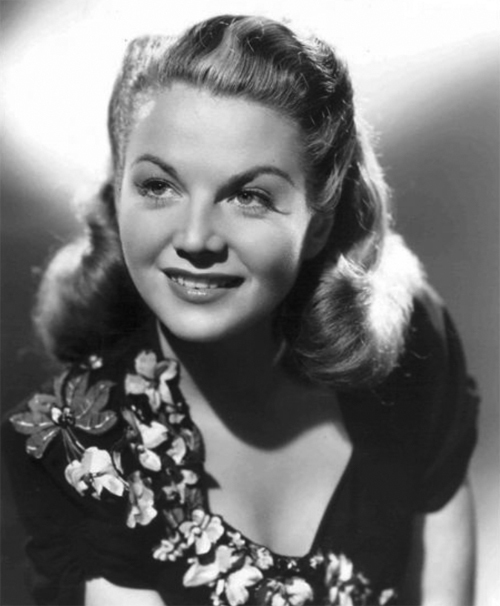 After roles in several short films, she appeared in Moonlight and Melody (1940), following that with appearances in nearly forty movies through 1951, the more notable ones being Buck Privates (1941), with Abbott and Costello; Hellzapoppin (1941); Beautiful But Broke (1944); Practically Yours (1944), considered her only “A” picture; and Rosie the Riveter (1944), a war-time morale booster. Jane married actor-director Glenn Tryon in 1942 and they had one son, Timothy Glenn Tryon. They were divorced in 1947. Jane could see her movie career was ending in the early 1950s. She did co-star in a television series Beulah, from 1952 to 1953, and appeared in episodes of The Lone Ranger (1950), The Gene Autry Show (1952), and Superman (1953). She also became involved in the real estate business in southern California, and began her own company in Newport Beach. Jane suffered from a series of strokes beginning in 1983 and died in a nursing home in Newport Beach on August 30, 1985. Her mother, Olga, had died in Los Angeles on December 31, 1955, and her sister, Ruth, died in Seattle, Washington, on May 25, 1996.